With all of the new mirrorless cameras releasing lately there seems to be a bit of a pattern, with them all requiring the use of external monitors to get the best image out of them. 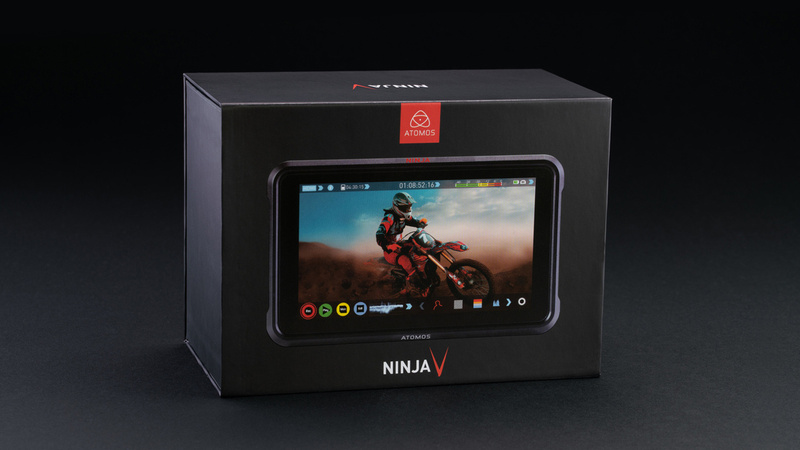 The Ninja V is the slightly smaller sister to the Ninja Inferno and they do share a lot of the same features but there are a few differences and improvements. One thing it hasn’t lost is the ability to record 4K 60p 422 10 bit signals, this is going to be an extremely popular pairing with cameras like the EOS R, Nikon Z series, GH5and Fuji’s XT-3, all of which can output 4K 422 10 bit at varying frame rates. The Ninja V comes with a super bright 5 inch 1920 x 1200 1000 nits screen. This is great when using in daylight but still want to monitor your image. It’s a really nice size monitor an a perfect combo for people wanting something easy and flexible to mount to big and small rigs. On the left hand side you have your 2 HDMI ports in and out for if you want to loop your image out into a larger monitor on set or wireless transmitter. On the right you have a power button, 3.5mm mic input, headphone out and remote port. On the back it uses Sony’s standar L or F type batteries. Take a look at these hand on reviews from B&H and adventure filmaker Levi Allen below. The Ninja V uses the same SATA standard as the current 7 inch recorders so your regular caddies do work but the space where you insert the SSD caddy is slightly smaller than the regular full size recorders. This means when you are mounting full size caddies it will overhang slightly, Atomos have worked with GTECH and Angelbird on a new set of SSDs called AtomX drives which are smaller Mini SSD’s and are designed to sit flush with the Ninja V.
You also have two ¼ inch threads for mounting on the top and bottom but they also feature the ARRI Standard locating pins which will prevent the monitor from twisting. Atomos spent some time working on their menu system. The touch interface is really easy to navigate through. You can tap to hide the menu and then tap again for it to come back up. You have the signature Rec, Play, Mon and Edit icons Record for recording and Playback for watching your clips once you have recorded them, Mon is how you control your monitoring menus & Edit for adding Atomos’s unique Metadata to your clips. The color of the cog on the right hand side shows you the menu you will be navigating. Here you have all your settings for your input, where you can see your input and enable timecode & trigger functionality, output, recording, codec and file name. Under codec you can switch between the different flavours of ProRes or DNX. It will also give you an exact time remaining based on your SSD. You can then tap monitor and you can see the cog changes colour you are now in the monitor menu. Here you can control a range of things. You have three focus peaking modes. One which uses the full color image, one that turns the image black and white and one that turns the image black. You can also then change the color and the intensity. You also have your Zebras. Under waveform you can change position, which you can also do by tapping on the bottom left of the screen, as well as change the transparency and brightness. Under HDR you can change from a range of preset gammas and gamuts which make recording in LOG so much easier. You also can load in LUTS via the SSD and then decide whether you want to record them in, output or just review with them. Display allows you to enable screen lock, tally and also flip your screen when changing your mounting. You can also change your brightness, lift, gamma and gain all separately. You then have Edit, this allows you to add metadata tags that you or an editor can use in post production. Back on the home screen, when you have monitor selected you can also slide between the toggles at the bottom. Going through them you have waveform, RGB parade, Vectorscope, Magnified vectorscope, peaking, Zebras, false color, B&W mode, aspect ratio guides, 1:1 zoom, 2:1 zoom, ATOM HDR toggle, Lut toggle, TV Safe guides and anamorphic desqueeze. Along the top bar you can tap on each different part. HDMI and your Resolution and Frame rate will bring up your Input settings, hitting your codec will bring up the codec settings. Hitting your file name will bring up your file name and hitting the record time will bring up your media settings, this is a fast way to format when needed. You can also hit the battery percentage which will bring up the source and time percentage remaining. When you’re in playback you still enable all of your assists. You can scrub through your clips easily and even loop them. You can also hit edit and make metadata changes here also. To go back just hit the record button. This recorder is great for any one looking to get the most out of their Cameras or just looking to overide the 30 min record limit on most cameras this recorder is perfect its light compact and easy to add to any setup. 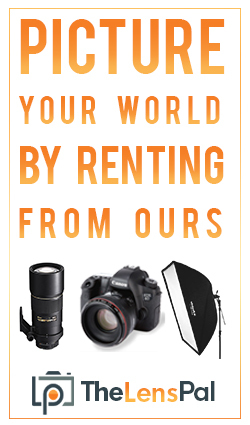 Rental price starts at 85.00 on a 4 day order.